They often work unseen and are all too often under-appreciated, but individuals working in the cleaning and janitorial industry provide us with indispensable service: they keep our living and working spaces clean. Without them, mess would build up, and we would likely be spending half of our time cleaning up after ourselves rather than working, not to mention that this is literally a “dirty” and often thankless job. This is why we employ janitorial and cleaning services: because the service they offer is significant and necessary. There are often janitorial services in most commercial and industrial buildings and facilities, and even in residential homes, you can expect the occasional visit of professional cleaners every once in a while. Those working in this industry are usually insured against work-related injuries or accidents because there certainly are industry-specific risks that they face on a regular basis: falls and slips, particularly on wet surfaces; exposure to toxic chemicals or bloodborne pathogens; and of course, electrical shocks. In fact, the particular combination of the working tools of most cleaners and janitorial staff make them incredibly prone to electrical shocks: the use of electrical power tools and liquid cleaners and water make for a dangerous combination. And of course, cleaners will be reaching into hard-to-reach corners, underneath furniture, the corners of rooms, the tops of ceilings, over wet surfaces, and underneath coils of electrical cables. To protect themselves against possible electrical shocks, therefore, cleaners and janitorial personnel should always practice proper safety precautions, particularly around electrical hazards. 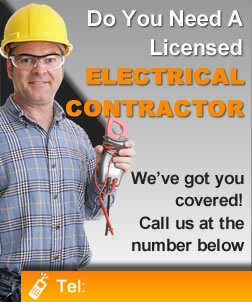 As an electrician, however, it is also your responsibility to make sure that an electrical system is designed and installed in such a way that foreseeable cleaning methods, techniques, equipment, and cleaning solutions will not adversely impact electrical wiring and other electrical equipment. On the part of an electrician, additional protection can be afforded cleaners and janitorial personnel through the installation of GFCIs or a Ground Fault Circuit Interrupter. Ground fault occurs when there is a break in the grounding path from an electrical system or equipment. When this happens, electricity looks for another low resistance path, thus taking an alternative path, which in the worst-case scenario may be a person. A GFCI is a protective device designed to protect against this kind of situation. A GFCI, also sometimes known as a Residual Current Device or RCD, works by shutting off an electric power circuit when it detects a short circuit. If there should be an abnormal condition, which can be caused by an electric current traveling along unintended pathways, such as water or a human body, the GFCI will trip and stop the flow of all current. The GFCI monitors the difference between the flow of current and will trip for as little as a difference of 4-5 milliamps. This is far less than the 30 milliamps of current that can cause severe harm or even death. GFCIs are either of two types: circuit breakers and the receptacle types. Most electrical regulations and code standards do require the installation of GFCIs in 2-prong receptacles, and in locations that contain water such as bathrooms, kitchens, and garages.